Golden leaves. Ambers. Bronzes. Pale Greens. A riot of color. And the occasional icy, cold breeze. Fall is the season that jumps. Our Fall Drink Line-Up is FlavorFall! 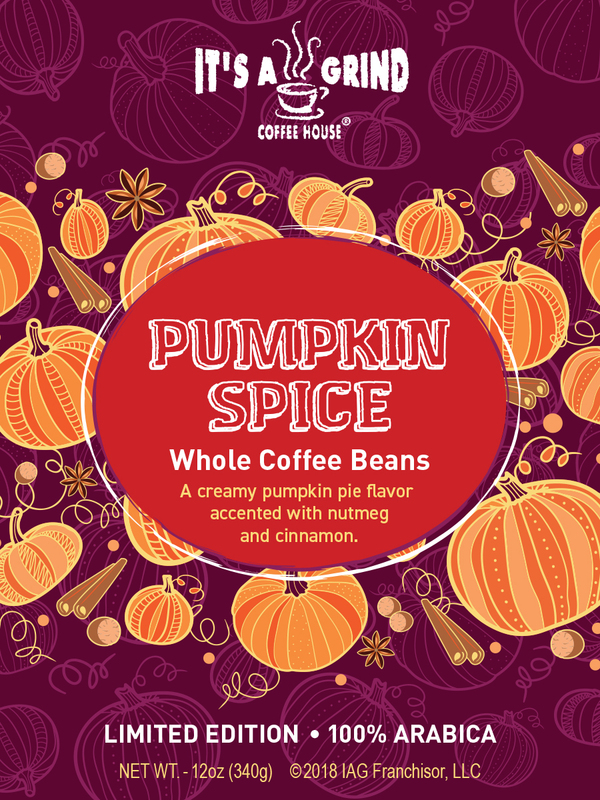 A perennial favorite, Pumpkin Spice is back to enjoy Iced Blended, Over Ice, as a Latte and as a Whole Bean option to brew at home. And our NEW! Cinnamon Spice Cake can be enjoyed Iced Blended or as a Latte. Full flavor that jumps!